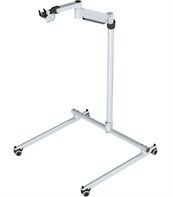 The REHAdapt OneHand HD Floor Stand with no shelf is ideal for mounting heavier devices such as an All in One Touch PC. It is robust, portable and accessible. The specially designed HD mounting arm is extremely flexible and easy to position with no bolts to adjust. Base width: 110cm. Maximum height: 120cm. Maximum weight: 6-13kg. 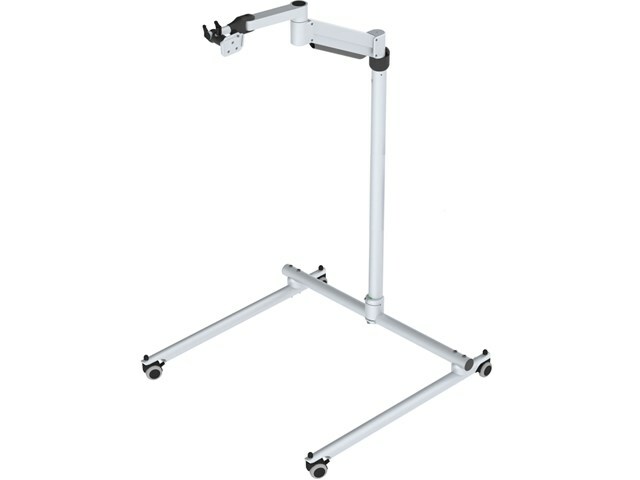 The maximum height achievable for this stand is 120cm. If you require a mounting system which offers a higher height, please contact us to request a quotation.